Souper Salad will email you upcoming printable coupons to your inbox. Souper Salad satisfies your appetite with award-winning Salad Bars plus a healthy and delicious menu: Soups, Salads, Walkabouts, Wraps, and Sandwiches. 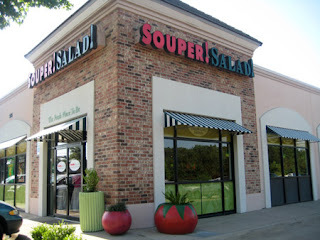 Souper Salad is a soup and salad restaurant chain in the southwest US. Their soups are prepared daily in fact, there’s a new menu every day for each location! 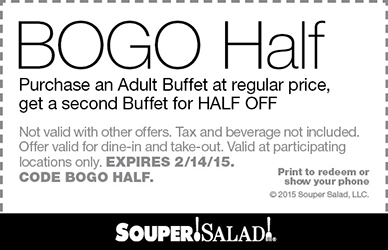 Enjoy one of their handcrafted soups or hand tossed salads at a low price with thier in store coupons.